Fort Scott Community College (FSCC) and Pittsburg State University's (PSU) Qualified Admissions Program allows FSCC students to attend classes and enjoy many of the benefits of Pittsburg State's campus. Classes are offered in general and/or developmental education. Students enrolled in this program may live in the University's residence halls, use the library facilities, attend cultural and athletic events, and participate along with Pittsburg State students in other campus programs. Students enrolled in QAP classes cannot also be enrolled in classes at Pittsburg State during the same semester. An admissions processing fee of $30 will be charged at the time of enrollment. No additional admission fee will be charged when the student enrolls at Pittsburg State. Students are enrolled as undeclared majors. All fees and tuition are paid to FSCC. Students charged for the FSCC hourly tuition fee, plus a Pittsburg State campus privilege fee. Students enrolled in the program who have paid appropriate academic and campus privilege fees are certified by FSCC to be enrolled at FSCC for all academic purposes (financial aid, insurance companies, etc.) and Pittsburg State for campus privileges (student health center, residence halls, parking, admission to events, etc.). Once students have accumulated 24 credit hours with a 2.0 GPA or higher, they can be admitted to Pittsburg State University. 1. Students who do not meet the admissions standards at Pittsburg State. 2. 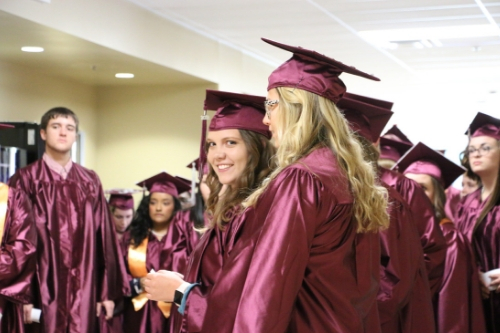 Students who have graduated from a Crawford County high school. 3. Pittsburg State students will not be permitted to enroll in courses offered through the program. A. This is required of all recent high school graduates in the QA program. B. You will not be completely enrolled until you have completed a Pitt Cares Session. 8. Dorms (optional): contact Pitt-State Housing for exceptions.